Lately I noticed some vibration coming from the rear when I was at highway speeds over 110km/h. In the past, that was usually due to crap getting stuck inside the wheel. And since I’m going on a road trip this weekend, I figured I’ll quickly pull off, inspect and clean the insides of my wheels... and then I discovered what you see in the picture above. And what looks like little hairs on the side... yeah those are broken steel belts sticking out of the tire. 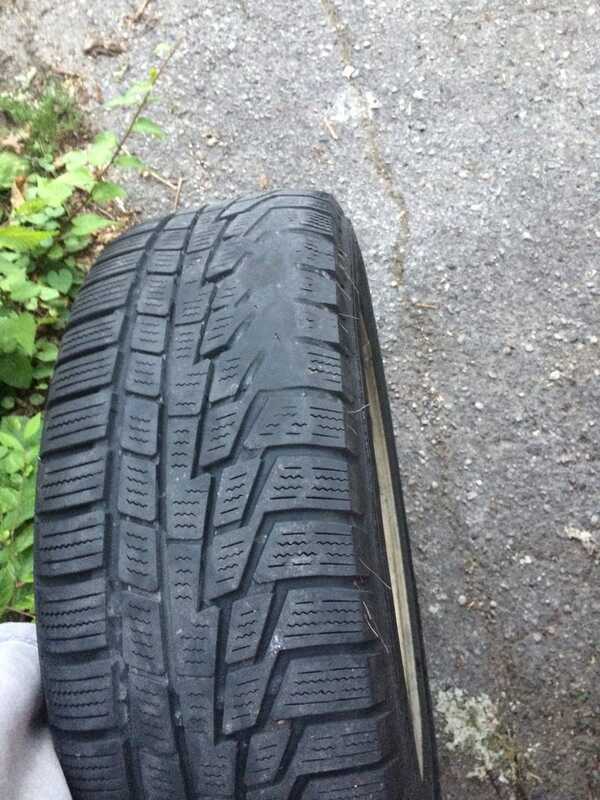 Gonna be buying two new tires tomorrow.